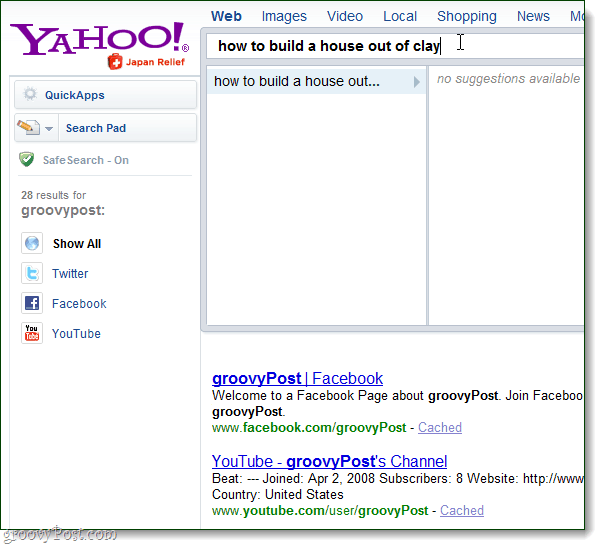 Yahoo Search Direct works very differently than Google Instant in terms of displaying results. Rather than using the normal results list, there is a smaller box directly below the search bar. You’ll see a list of suggested searches, and your “direct” results will show up in the new box. 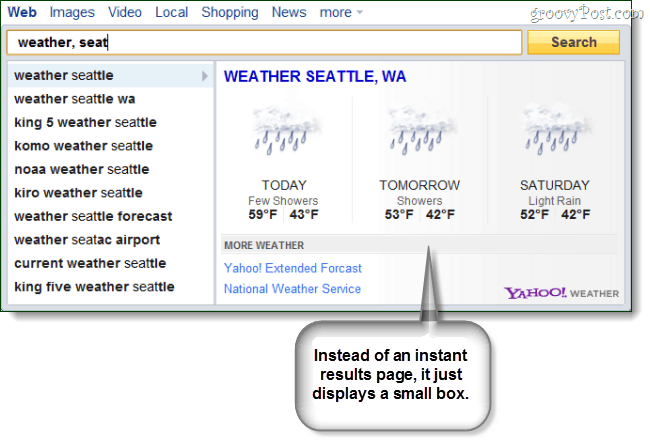 If you search for something such as the weather, instead of a link to a website you’ll see instant weather results. The new Yahoo Search Direct is already publicly available for testing, but it isn’t yet incorporated into their regular search function yet. From what we’ve seen while testing it out, we aren’t impressed – but it is still early in the development. Many of the search queries have “no suggestions available,” and the ones that do link to useless content farms like eHow or Answers.com. Yahoo has said that the Search Direct feature is still working with a very small database in contrast to their normal search, and a limited number of search categories. Yahoo plans to expand the service, so we’ll have to wait it out to see if it ever becomes useful.